The Minitrix product line has control boxes that are used to remotely operate track switches and signals. These also could be used for layout automation and control. The track switches and uncoupler use solenoids, coils of wire through which electric current is passed to operate the track switch or uncoupler. These devices require momentary operation. Minitrix also manufactures signals which are used as part of an approach to train control. Some of these require momentary operation while others require continuous operation. The track switches, uncoupler and some of the relays have two solenoids which are used for operation. 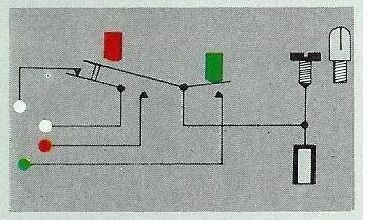 Current is briefly sent through one of the solenoid coils, which magnetically draws a slug of metal into the coil; this slug is connected to the turnout points, uncoupling mechanism or the relay’s electrical contacts. The momentary feature is an important one, for if the electricity continues flowing through the solenoid coil, heat builds up and the coil eventually burns out. A single black wire is connected to the black connection of the transformer. 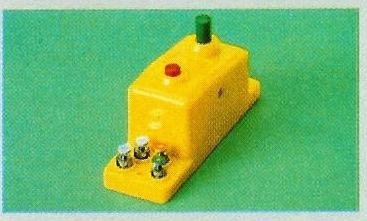 Each turnout controlled is connected to the 6596 by two wires, one green and the other yellow; these are connected to the green and yellow push terminals on the back of the 6596. Another momentary control box is the 6595, which is used to control one solenoid device, and also offers control features. 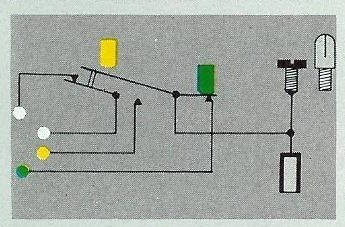 The 6595 is connected to the transformer with one black wire; the green and yellow terminals are connected to the solenoid device (such as a turnout, relay or semaphore). In addition, two white terminals are used to control track power. When the 6595 is in the “Green” position, the white terminals are connected; when in the “Yellow” position, the white terminals are disconnected. The 6594 offers continuous control of color light signals, track segments and other devices which require an “On / Off” function. 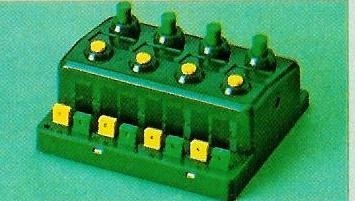 The two momentary control boxes use a black wire connection to the transformer. The continuous control box can be used with a black wire connection for accessories. All are designed to be ganged together for both simplicity of connection and for a professional looking control panel. 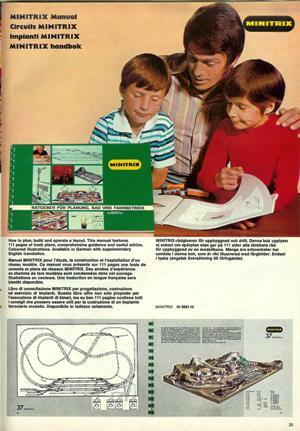 The 6594 can also be used to control track power. In this case, it would not be ganged with other accessories using a black wire common connection. Instead, it would have a “Blue” wire connection, and in that application it could be ganged with other track power accessories. Track screws & track spikes. Terminal joiners for connecting devices to the track. 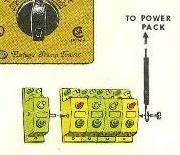 Specialized devices - These devices date back to a time when all train control was handled directly by a transformer. 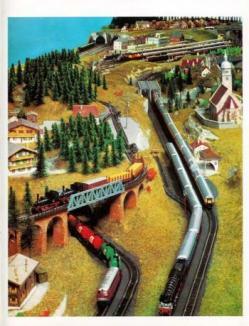 This was an era before command control such as Märklin Digital, Selectrix or DCC. 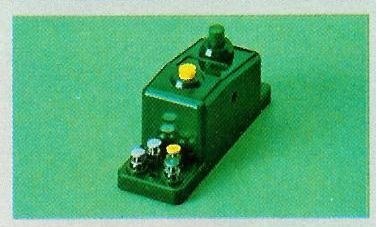 While useful for the DC powered model railroad, they cannot be used with a railroad that uses command control. Inevitably, the subject of repair parts comes up. At this writing, repair parts for Minitrix in the American market are a problem. The North American prototype Minitrix locomotives were very popular in this market, which means that there are a lot of locomotives out there that will eventually need repair. At the same time, repair parts are simply not available, even in Germany. Repair of these units requires individual ingenuity. You may find a solution by looking online to see what others have done in your situation.